A 3×3 geomagic square using polyominoes, or pieces built up from unit squares. In this case all are decominoes, indicating 10 units. The three pieces in each row, column, and diagonal tile the same 5×6 rectangle. Research reveals that specimens such as this, using same-size pieces, are far rarer than those using pieces with different areas. 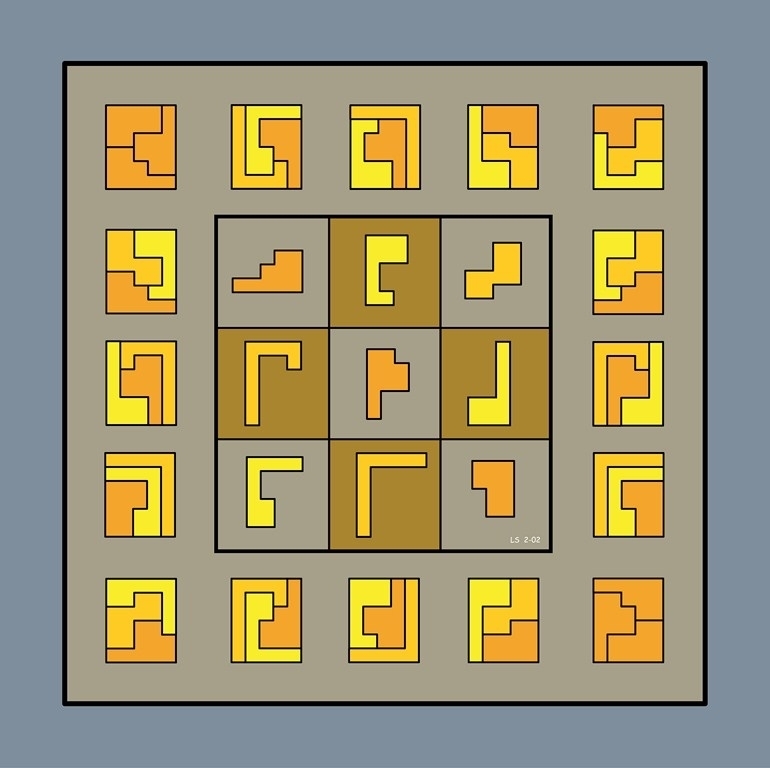 Note that the square remains magic if the L-shaped piece in the bottom row is replaced by a rectangular piece of 2×5.